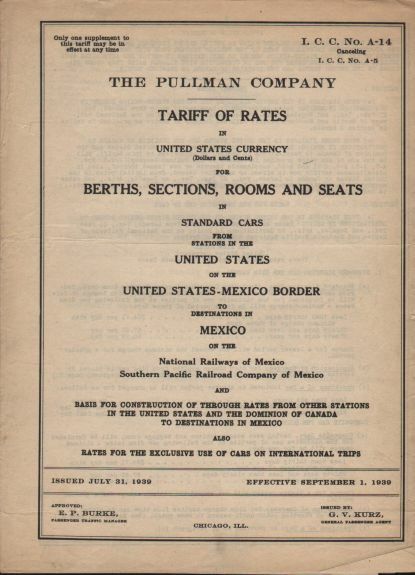 Description The Pullman Company (Railroad) I.C.C. No. 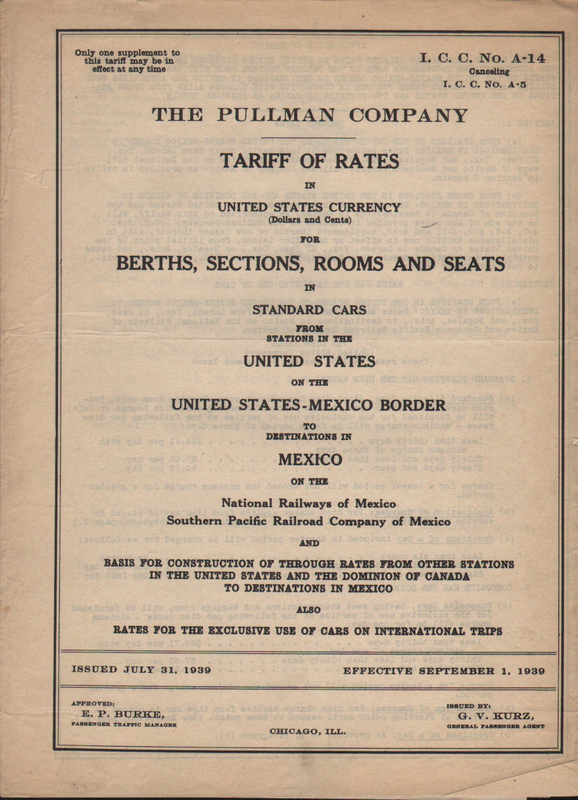 A-14, cancelling A-5, 1939 Tariff of Rates in United States Currency (Dollars and Cents) for Berths, Sections, Rooms and Seats in Standard Cars From Stations in the United States on the United States-Mexico Border to Destinations in Mexico on the National Railways of Mexico, Southern Pacific Railroad Company of Mexico and Basis for Construction of Through Rates from Other Stations in the United States and the Dominion of Canada to Destinations in Mexico also, Rates for the exclusive use of cars on International Trips. Issued July 31, 1939, Effective September 1, 1939. Used in Pullman Mexican operations. Includes two letters: One is Circular 1939-42 to Ticket Agents in the United States. 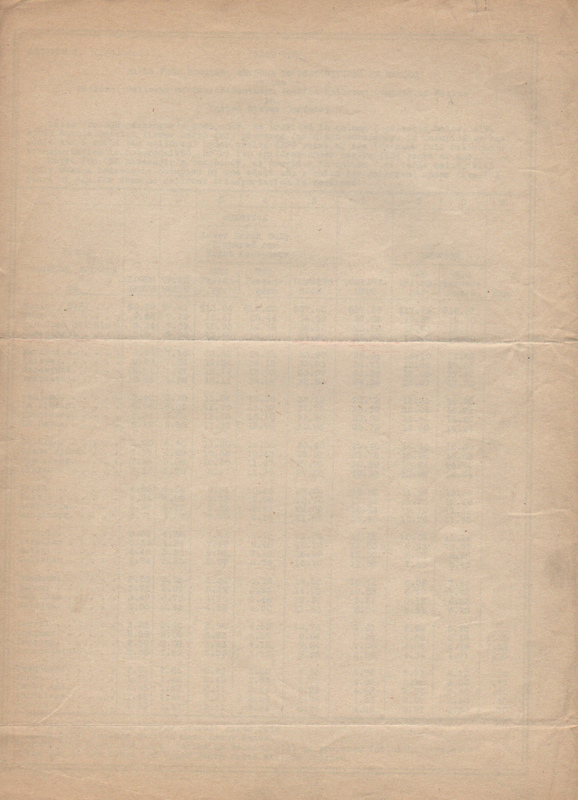 The second is dated August 8, 1939 to Traffic Officers, United States Lines.